A good finish depends on a good start. Our unique Clean-Cor™ pretreatment process cleans and seals your parts from the core to improve bonding and ensure appliance grade quality and long-lasting durability. This trademarked, multi-stage process employs several washes and key controls to prevent contaminants from disturbing surfaces. 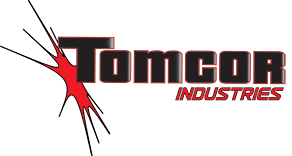 It creates a base ideally prepped for painting and is an unmatched approach to powder-coating quality you'll only find at Tomcor. Unique chemical titrations with automatic controls and feeds for consistent paint application and adhesion. Heat transfer efficiency for uniform heat distribution and chemical control. Water purification system creates fresh reverse-osmosis water (bottled-water quality) used in both cleaning and rinsing. Phosphate control with non-chromate sealer to create flawless substrate. Your Clean-Cor™ pretreated parts are then encapsulated in a controlled tunnel, further protecting them from contaminant possibilities as they are transported to the environmental room for paint application.